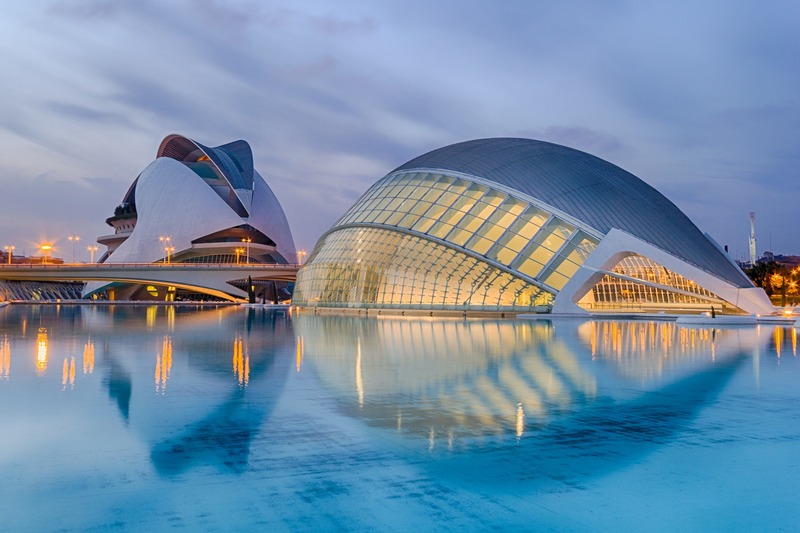 Valencia (/vəˈlɛnsiə/; Spanish: [baˈlenθja]), officially València (Valencian: [vaˈlensia]), on the east coast of Spain, is the capital of the autonomous community of Valencia and the third-largest city in Spain after Madrid and Barcelona, with around 800,000 inhabitants in the administrative centre. Its urban area extends beyond the administrative city limits with a population of around 1.5–1.6 million people. Valencia is Spain’s third largest metropolitan area, with a population ranging from 1.7 to 2.5 million depending on how the metropolitan area is defined. The Port of Valencia is the 5th busiest container port in Europe and the busiest container port on the Mediterranean Sea. The city is ranked at Gamma+ in the Globalization and World Cities Research Network. Valencia is integrated into an industrial area on the Costa del Azahar (Orange Blossom Coast). Due to its long history, this is a city with numerous popular celebrations and traditions, such as the Fallas (when you can taste the traditional Spanish dish, paella), which were declared as Fiestas of National Tourist Interest of Spain in 1965 and Intangible cultural heritage by UNESCO in November 2016.